This spring, be a crowd pleaser. Looking for Something Quick and Easy? From morning meetings with the team to social gatherings of any size, our tasty Grab-N-Go food and smoothies are sure to please your whole crowd. Twelve smoothies in our three favorite flavors, in the perfect, portable size. 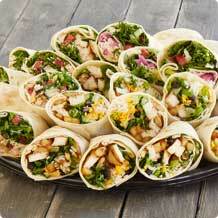 Our best-selling wraps served with chips – perfect for a crowd! 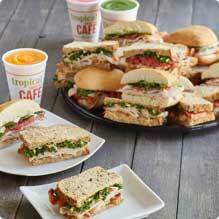 A tasty mix of our best-selling sandwiches, served with chips. Need to Feed a Bigger Crowd? 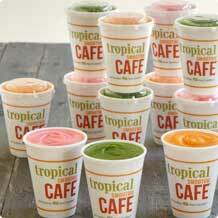 Tropical Smoothie Cafe offers affordable catering options for events of any size. This offer is valid with purchase on ezCater site at participating locations.